I keep telling myself and everyone else that I’m ‘soooo not a road biker’ yet a quick look at my recent Garmin stats seems to suggest a slightly different story. 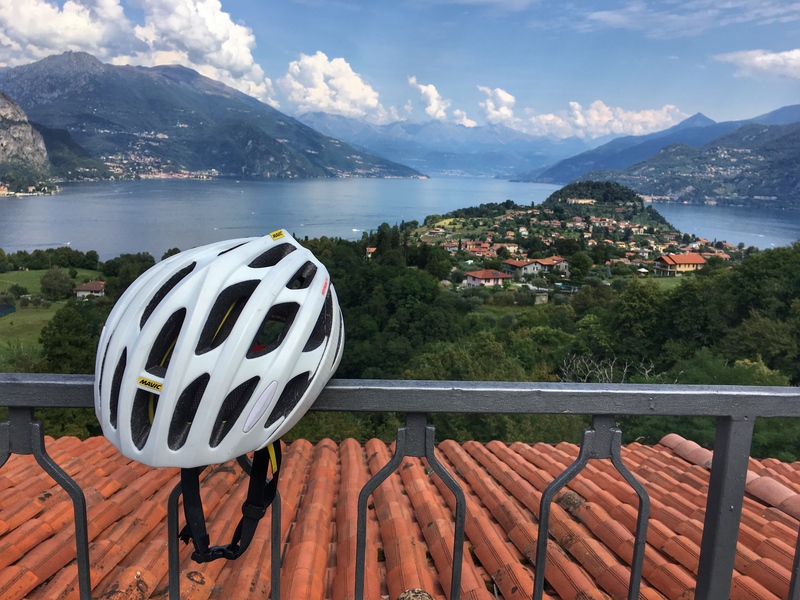 Over the course of two weeks in August I appear to have done zero running, mountain biking and climbing and rather a lot of road cycling instead, racking up around 1,700km and 38,500m+ cycling with friends from Venice to Lake Como across the Dolomites before continuing onwards solo to Menton over the French Alps. Definitely not a road biker? Two months down the line and a whole load of hamstring stretches later, and I’m still not prepared to self-identify with the lycra/cadence/carbon obsessed brigade but I will openly confess that I had a belter of a time on that two-wheeled tarmac trip. 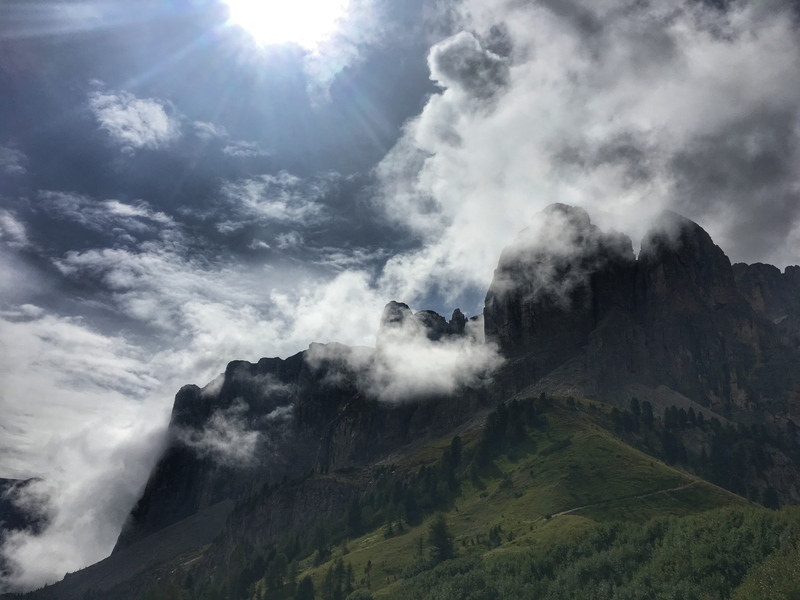 Climbing legendary Passos and iconic Cols, eating as many croissants as I could shove down my gateau-hole, listening to Jay-Z on repeat most days and metaphorically crossing my fingers in the long dark tunnels as the mahoosive trucks roared by – the whole thing really was a fantastic adventure and a massive learning experience. If you’re looking for in depth advice on how to rig up your own personal satellite tracking system or solar powered pee disposal unit ahead of your own long distance cycling adventure then I suggest you reference the many fantastic blogs out there written by genuinely experienced two wheeled adventurers. 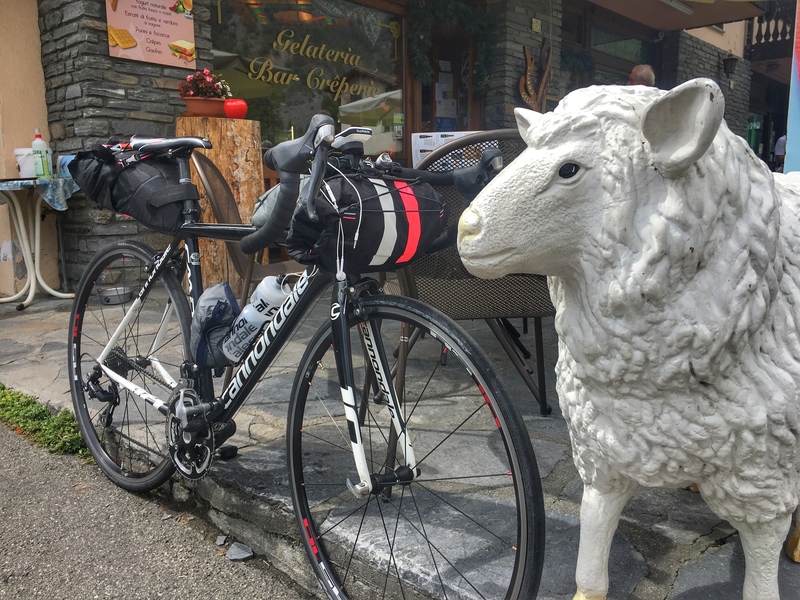 If, on the other hand, you fancy a bit of craic and perhaps the odd useful snippet of advice from a non-road biker who seems to have actually gone on quite a long bike ride, then grab yourself a cuppa and read on….. 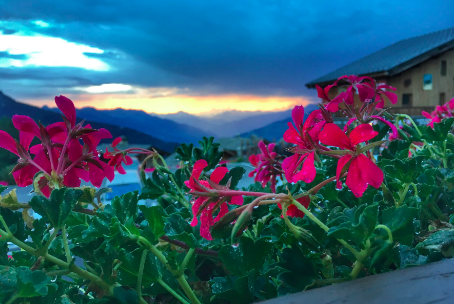 I certainly didn’t embark on this trip hoping for any kind of inner awakening but I honestly thought that spending 24 hours a day alone might lead to at least one lightbulb moment. Hardly life changing stuff but utterly refreshing in a totally banal kind of way. It may be a cliché but long distance endurance adventures do seem to have a habit of slamming you right into the present moment. Instead of worrying about stuff you can’t change like Theresa May’s dancing and…well….Theresa May’s dancing, you focus instead on managing your immediate future. 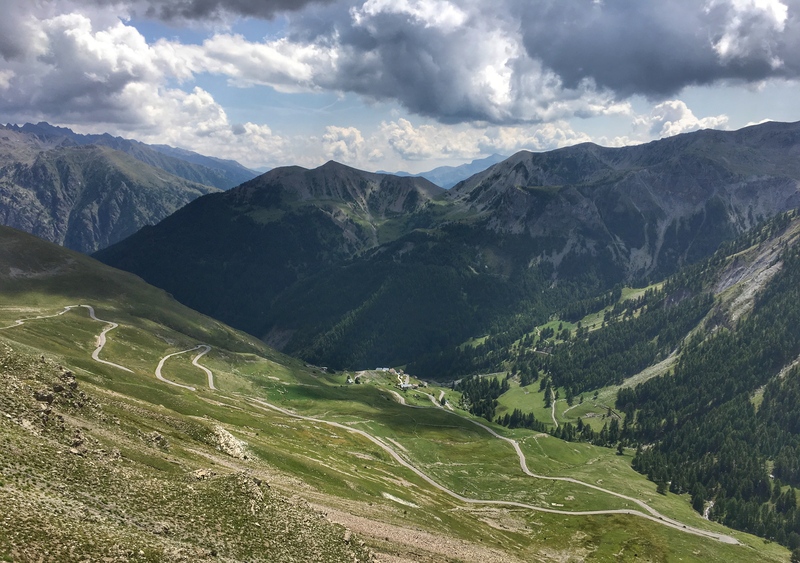 You’re only job is getting to the next hairpin on a steep climb, deciding when to eat your next energy bar, marveling at marmottes, and wondering if you’ll ever get to run your fingers through Bradley Cooper's hair…. Life on the road is about the simple, soul-food type stuff that keeps you occupied and moving forward slowly but surely. 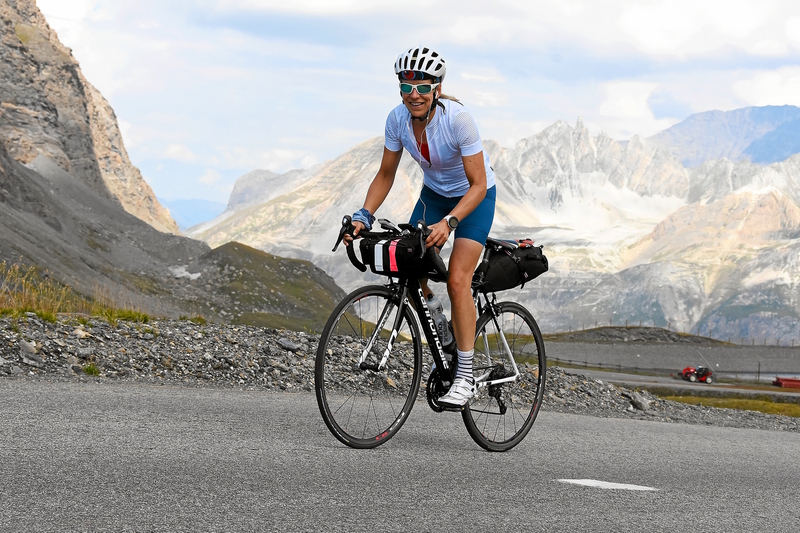 Smugness may be the eighth deadly sin but my god, there’s nothing quite like cruising past cyclist after cyclist struggling up long hot climbs with bikes literally laden with luggage. Whilst I have no doubt some may have been on epic round the world trips, many more of these struggling sweaty peeps were obviously just on a week long ride and couldn’t bring themselves to leave their hairdryer and heels at home. 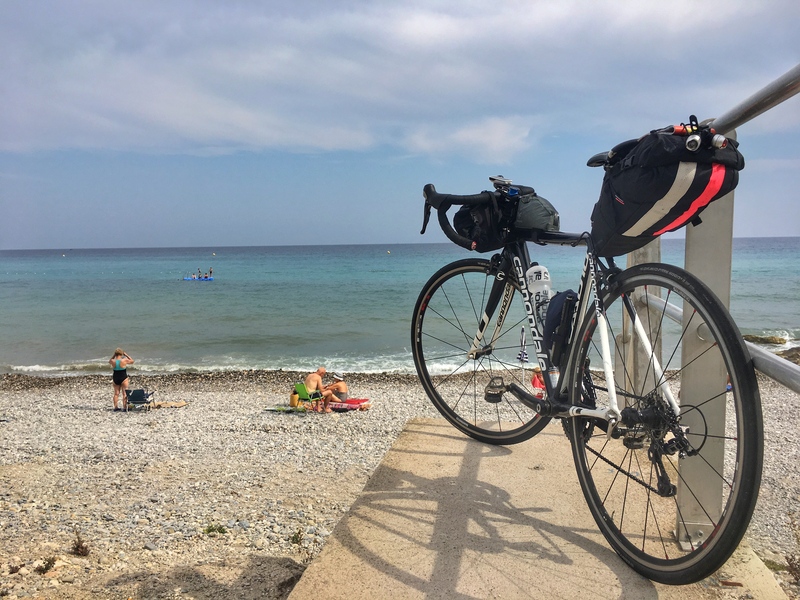 I managed to get all my kit for the solo trip across the Alps into the Rapha + Apidura Handlebar (9L) Pack and Saddle Pack (11L) and had shed loads of room to spare. I made sure that the weight was split evenly between the packs and carried bike specific kit (tubes/tools/cable ties, lube, lock etc) and toiletries on the handlebars and casual clothes (t-shirt, shorts and lightweight synthetic jacket, On Cloud trainers) and spare riding outfit on the rear. Snacks, earphones, passport, cash and chargers were stored in a top tube pack that was easy to remove at café stops when the bike was left outside. I also carried a Garmin Edge Explore 820 GPS and attached my iPhone to the bike using a QuadLock Bike Mount. 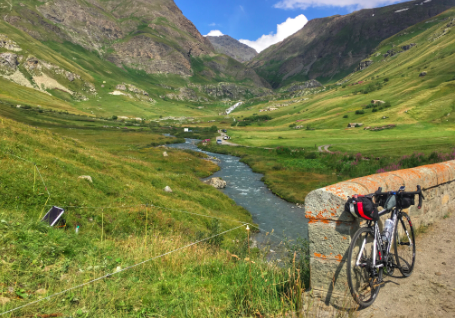 My steed of choice was well, let’s be honest, the only steed in the stable – my 8 year old aluminum Cannondale CAAD 10 who’s utterly reliable and always up for an adventure. 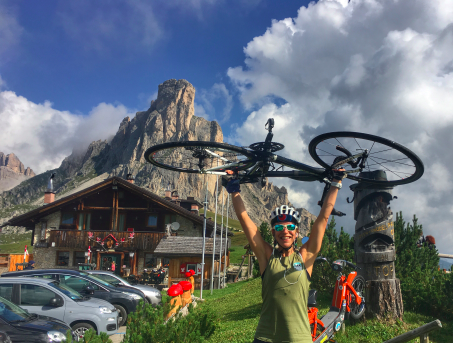 Forget feathery light, super expensive carbon bikes, if you’re going to spank the cash for a trip like this then make sure you invest in the right clothing for the task in hand. And by that I mean you’re going to need technical, comfortable, practical bike apparel that can deal with day after day of sweat, snot, and tears. 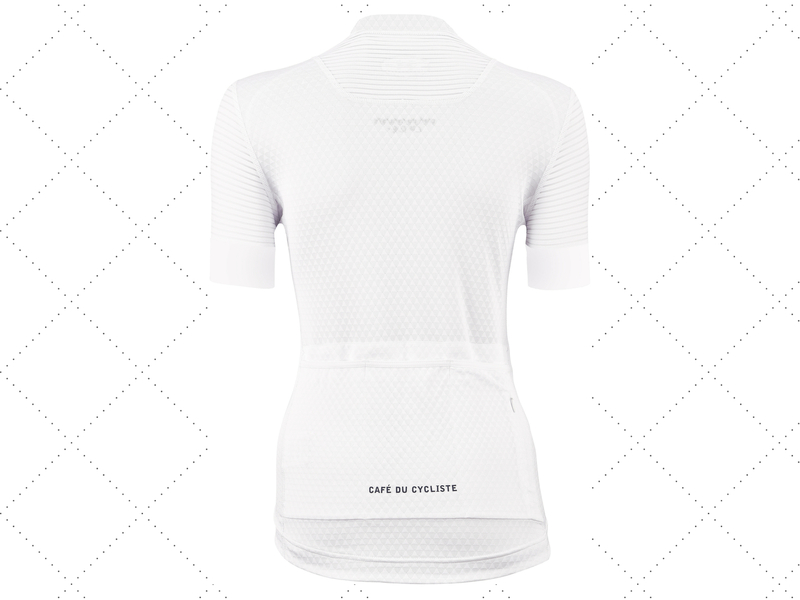 Enter Café du Cycliste – a super stylish French-born brand who make premium road cycling apparel for dudes and dudettes. 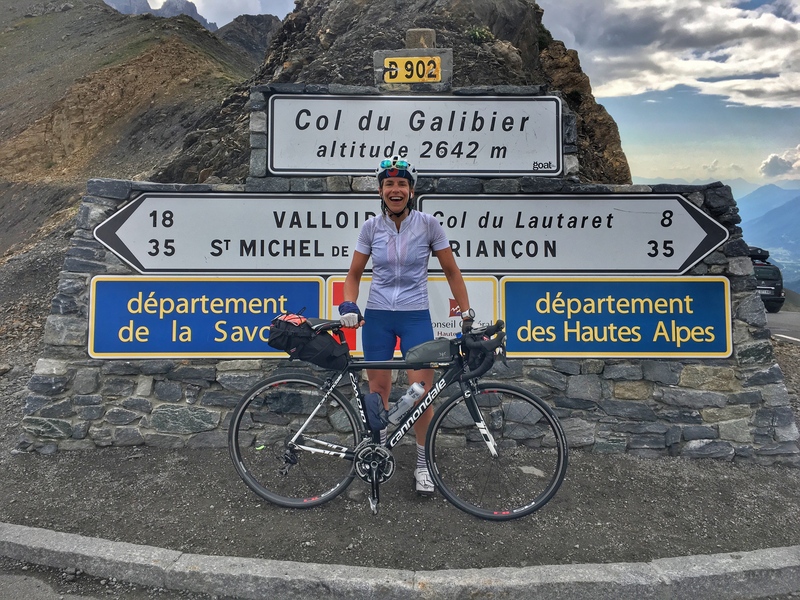 For the duration of the French leg of my trip I wore their Micheline jersey and Marinette bib shorts - every day for 6 days. I washed them at night (when possible) but all in all I was amazed at how well they stood up to the relentless hours in the saddle. 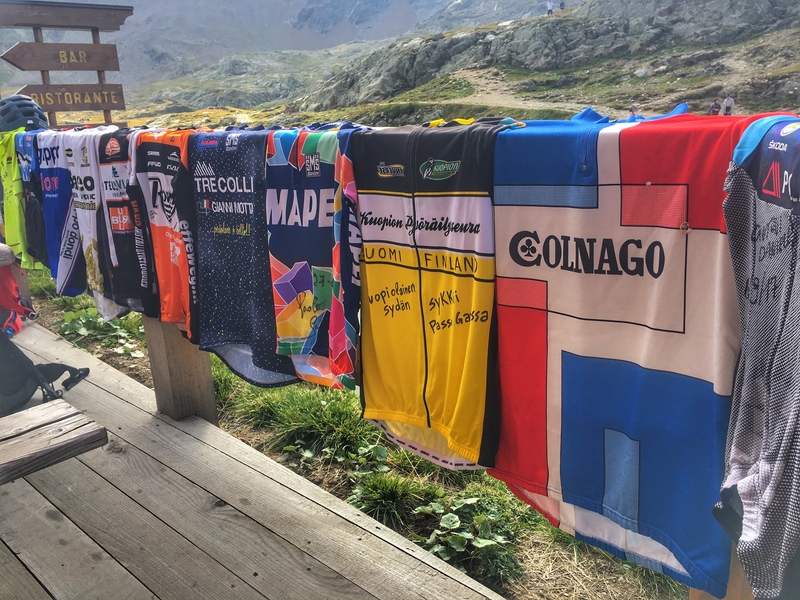 The Micheline jersey is a light, mega comfortable bit of kit that wicks away stink, feels really nice next to your skin and looks pretty damn cool. Most crucially however it’s LA-teeth bright white in colour so really maximizes your visibility which is a constant source of concern on quiet narrow roads/busy wide roads/windy mountain roads/straight roads with dark tunnels/windy roads with lit tunnels. Basically it was super reassuring whenever I felt like a sitting duck – aka pretty much most of the time. 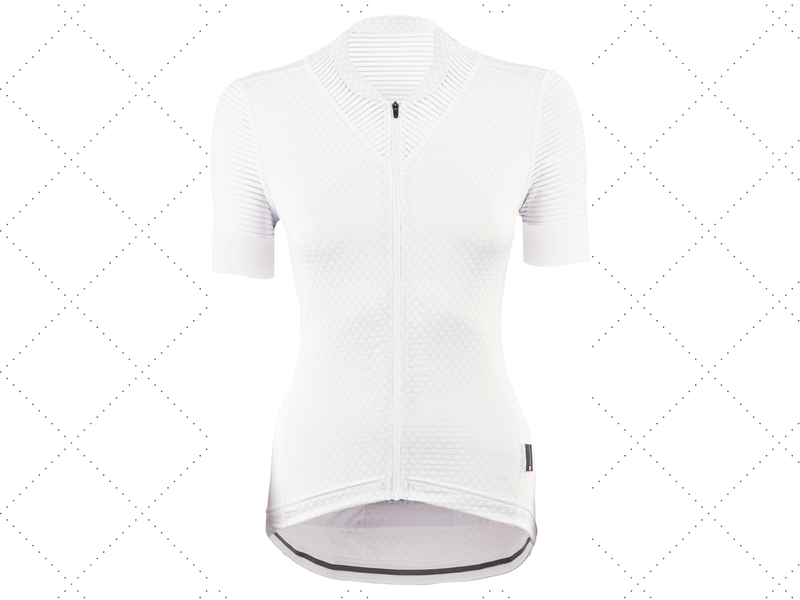 I paired the Micheline jersey with Café du Cycliste’s Marinette bib-short with its premium lady-bit protecting chamois – a top of the range Italian Cytech pad. 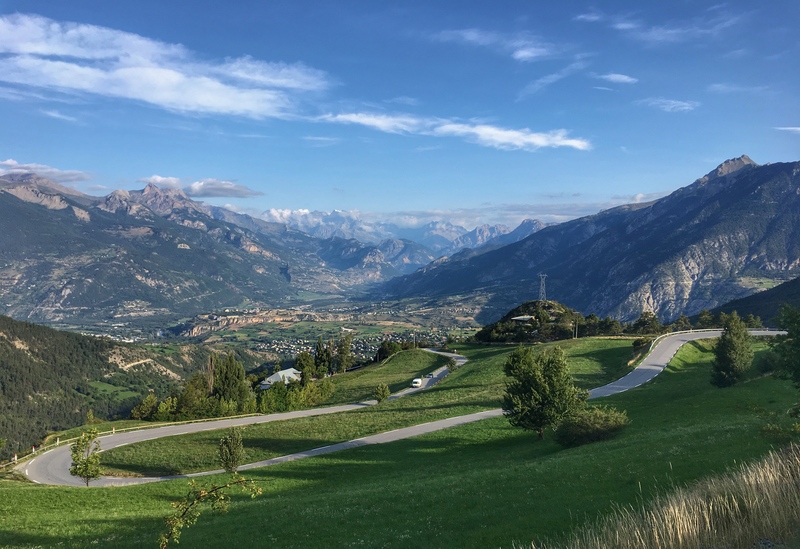 Whilst cycling for two weeks in the August heat did inevitably have some adverse effects on our never-never regions, all in all things were in pretty good shape upon arrival in the Mediterranean. Like the Micheline jersey, the Marinettes were immediately comfortable, helping to make the whole trip a chafe-free zone. Just the right length and with legs that stayed perfectly in place, the Marinettes are single handedly responsible for dividing my thighs in two, creating a ridiculously sharp cyclist tan that quite frankly should only ever be found on a fully out of the closet road biker. The royal blue of the Marinette bibs combined with the white Micheline and navy/white stripey merino Breton Blue socks made for a high impact, high performance clothing combo that I was both proud and pleased to be wearing throughout the trip. 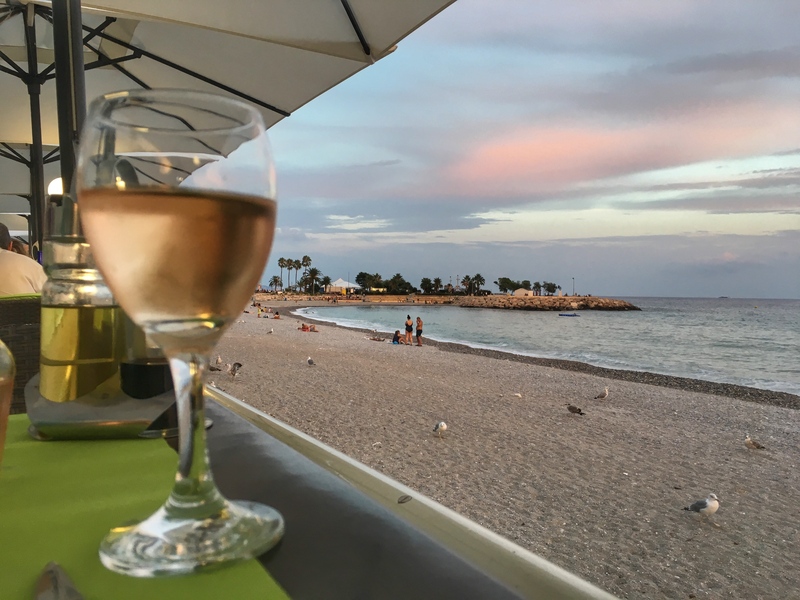 And when I finally reached the sea and that long awaited glass (ok, ok…’bottle’) of rosé, I have to say it did feel pretty cool to be cruising along the promenade wearing a local brand born on the Riviera. Buy these packs – If you want durable, waterproof, extremely well-made, and reliable bikepacking luggage. End of…. Don’t buy these packs – If you can’t afford them. 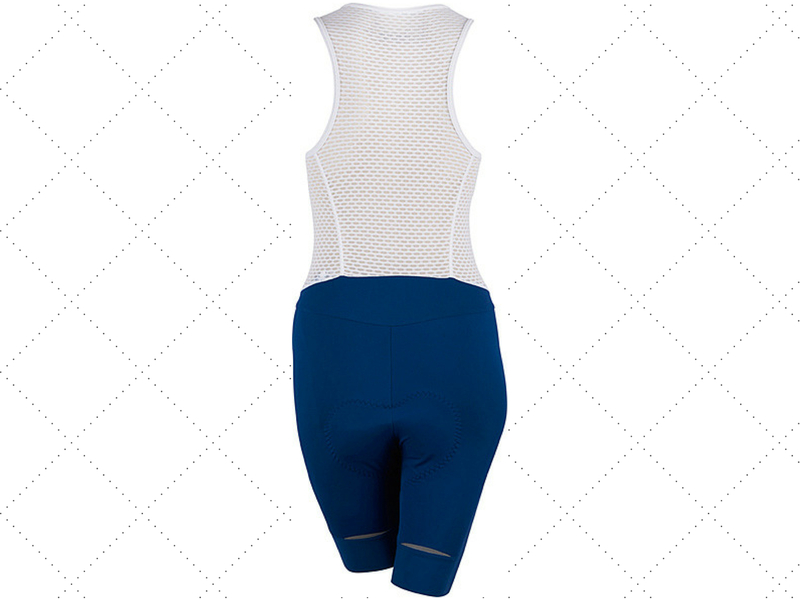 Buy this outfit – If you’re looking for premium lightweight summer road biking apparel with unique Provencale style. If you buy this outfit – You may have to accessorise with a string of garlic and a beret to complete the look. Don’t buy this outfit – If you’re a clumsy tw*t with no access to a washing machine and have a tendency to throw vin rouge or cappuccino all over your nice white tops. The sun may now have firmly set on my European summer biking adventure yet I still seem to be displaying some suspiciously roadie-type traits. Like continuing to actually go road biking and perusing this winter's Café du Cycliste road biking offerings with alarming regularity. Only winter can save me now - bring on the snow! Any questions about the route taken or gear used on the trip, then hit me up in the Comments box below.